Looking at her long-distance running achievements you’d never guess that Hazel Moller wasn’t always a runner. She grew up on the Bluff in Durban and moved to Jo’burg in 1994 after graduating as a chemical engineer. “Prior to this my sporting achievements were zero,” she says. New to Jo’burg, Hazel took up aerobics at the local gym to meet people. She loved it and within a year got her instructor qualification. To keep fit she started running on weekends. In 1999 Hazel ran her first Comrades Marathon; she has run 14 more since. While running the Bergville to Ladysmith Ultra in 2001, she met Chris – they married three months later. They have two daughters and Hazel ran through both pregnancies, up to the day before each baby was born. 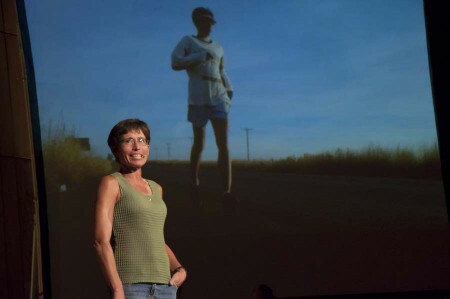 In the years since running her first Washie 100 miler in 2001, Hazel has completed 26 100-mile races! Her proudest results include the winning the Midlands 100-miler in 2005 outright – against men and women, a Washie double in 2013 (in 42 hours she covered 322km) and her Ten10 challenge this year, where Hazel ran the equivalent of 10 Comrades Marathons in 10 days. At FEAT (Jo’burg, 8 October 2015) Hazel speaks to us about running ultras… and getting up the next day and the next and the next to run another.